TouchDesigner supports Bluefish444 video input and output devices through the Video Device In TOP and Video Device Out TOP. 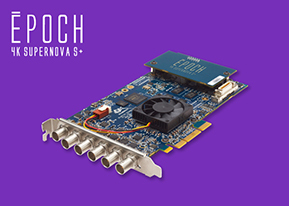 The Epoch | 4K Supernova S+ range and Epoch | Supernova CG are multi-channel 3G/HD/SD SDI I/O video cards enables TouchDesigner users to choose between a number of configurable I/O combinations. 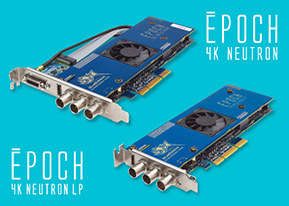 The Epoch | Neutron range offers both full height and low profile form factor variants, in either multi-channel 3G/HD or HD/SD with HDMI preview. TouchDesigner has built-in native driver support for Bluefish devices. Video Device In TOP - Captures video streams from capture cards and input devices. Video Device Out TOP - Outputs video. This page was last edited on 2 August 2018, at 13:52.